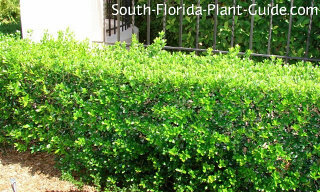 Classy dwarf burfordii holly is an elegant and formal South Florida shrub that also blends in with more casual landscapes of flowering or tropical plants and ornamental grasses. When you think of holly plants, you might consider them more of a "Northern" plant. But the well-behaved dwarf "Burford Holly" blends in well almost anywhere there's a sunny area. 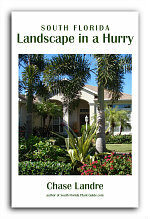 It makes an outstanding low hedge, accent or foundation planting. The dwarf variety of this classic shrub is the one to buy...it's generally the one sold at plant nurseries as just "Burfordii Holly." (Full-size "Burford Holly" grows much larger.) Dwarf cultivars Compacta and Nana are very close in looks and habit. The emerald green new growth over rich deep green mature leaves contrasts beautifully with the red berries the plant grows in fall and winter. 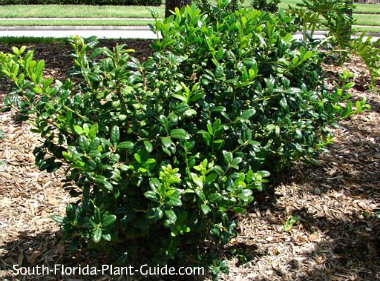 This small holly shrub is nicely low-maintenance and isn't as prickly as many other hollies. Each leaf has a pointed tip but without an extreme "bite" to it, like some holly bushes have. That being said, it's still considered a good plant to place under windows to discourage burglars. And it's also thought to be somewhat resistant to damage from deer (though we make no guarantees). 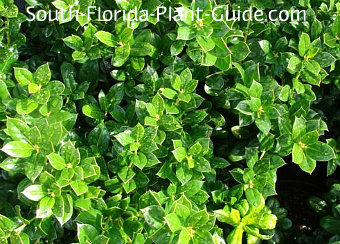 A moderate grower, this shrub is cold hardy, fine anywhere in South Florida. Plant in full to partial sun to keep it bushy and full. 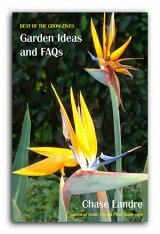 You can trim to keep it 2-1/2 to 3 feet tall. The bright red berries usually appear when the plant is well-established. Amend the soil by adding top soil or organic peat humus to the hole when you plant. You can also mix in composted cow manure to enrich the soil around the root ball. Trim to shape occasionally by preferably cutting stems, Though you can shear these plants for formal hedges, cutting across foliage leaves the plant looking straggly until it grows out of the cut. Hollies like this one are usually drought-tolerant once established, but they do best with regular waterings and time enough to dry out in between. Fertilize 3 times a year - spring, summer and fall - with a quality granular fertilizer. Place these plants about 2-1/2 feet apart. Come away from the house 2 feet. 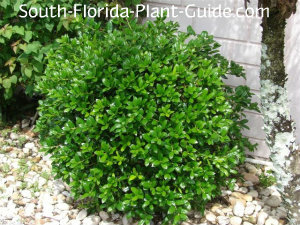 This dwarf holly works fine in containers or planter boxes. 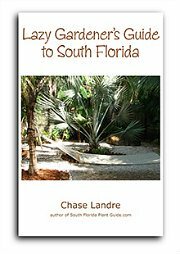 COMPANION PLANT SUGGESTIONS: Bush allamanda, dwarf bottlebrush, orange bird of paradise, red or white fountain grass, Burgundy loropetalum, variegated pittisporum, Aztec grass, society garlic, and agapanthus.